Ryan Reynolds May Be 2010’s Sexiest Man Alive, But He Still Wears a Coat! 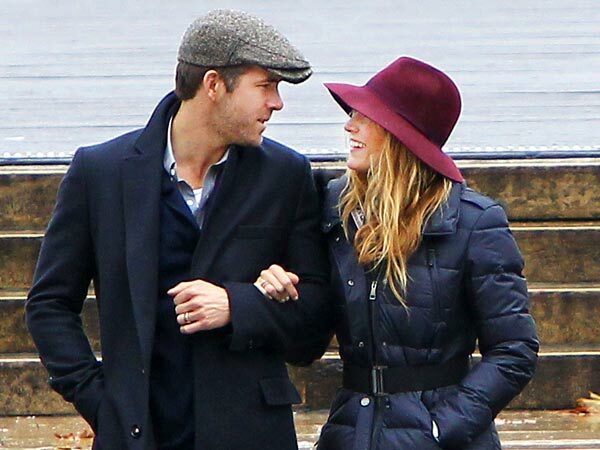 In the latest edition of “And Not a Single F— was Given,” People Magazine announced that Ryan Reynolds and his semi-child bride Blake Lively wore coats on a date night in New York City. Stars, they’re just like us! They sometime have to go outside in the cold. Because they don’t want to freeze, they even wear jackets! Get the f— out! Who knew? If stars were REALLY like us, then they’d understand the need for remakes of classic early 1990s tv shows on Nickelodeon. That’s right, Ryan, it’s time to reboot Fifteen! Sing Ryan sing!